Venezuelan-Canadian chef Jefferson Alvarez and the owners of Txotx Basque Imports, Kelly Chomat and Shawn Pisio, are three lovers of Basque gastronomy who have decided to turn a Vancouver restaurant, the Birds and the Beets, into a ciderhouse. Three days a week, from Thursday to Saturday night, this place becomes the first and only bar/restaurant in British Columbia that offers craft hard cider as well as food typical of a ciderhouse. 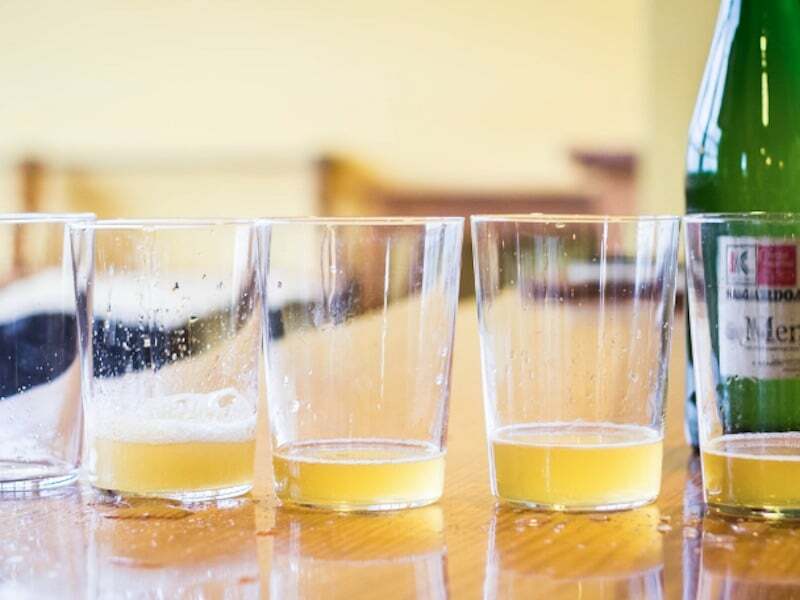 It’s a project that even changes its name during those three days, and becomes the Orchard and the Sea, and it’s opening in order to become the best place to get to know the best hard ciders, enjoy quality food, sample, and listen to educational seminars. Often we’re asked, “what made you start?”, “why not other regions?”, “why are you so passionate about this?”. Well, our answer is simple: We love the Basque Country. But as hard as we try, it’s difficult to put into words the feeling you get from the region. The views are unworldly, the way life is enviable, and the cuisine is unmatched. While we can’t bring the sweeping landscapes, or the joie de vivre, we can offer you the food and drinks in hopes to re-create this truly special culture. Simple Ingredients. Complex taste. The Orchard and the Sea seems to be that kind of extraordinary experience that we hope is a huge success. A popular lunchtime eatery in Gastown will soon be hosting a pop-up restaurant that pairs Basque-inspired tapas with locally-made and imported craft cider. Starting on July 14, Birds & The Beets (55 Powell Street) will be transformed by Txotx Basque Imports and Chef Jefferson Alvarez into the aptly named Orchard & The Sea. The pop-up is the brainchild of Kelly Chomat and Shawn Pisio, owners and operators of Txotx (pronounced “CHO-ch”, meaning a drinking toast), and Chef Alvarez.